We are looking for women and men over the age of 18 who are interested in the full-contact sport of women’s flat track roller derby. If you are interested in skating, refereeing, volunteering – or you just simply saw it on TV when you were a kid and want learn more – please contact us. We are seeking motivated and dedicated individuals to join our league. 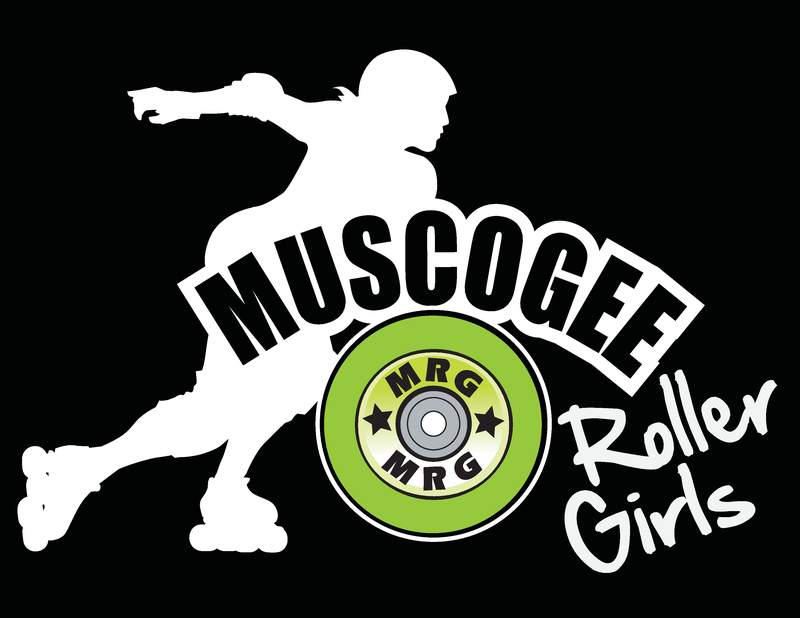 Wanna be a Muscogee Roller Girl? Join us! We’re gearing up to enlist new recruits for the 2019 season! Equipment needed: Mouthguard, water bottle, knee pads, elbow pads, wrist pads, helmet and skates. Skates will be provided if needed. Some safety gear – knee pads, elbow pads, wrist guards, and helmet – is available at a first come, first served basis. What will I need for my first practice? Do I need my own skates? What should I wear? We recommend you wear athletic wear, such yoga pants, fitness capris, leggings, or tights and tank tops. You will fall down, so longer pants or tights will help protect your legs. Please be sure to bring a mouth guard and water bottle. We have limited amounts of protective gear – helmet, knee pads, wrist guards, elbow pads – available for your first few practices. Skates can be provided if you do not have any. How many practices does MRG have a week? We have 3 practices a week. Practices are two hours long. *Occasionally our practice dates will change due to special events, please click here to check our forum calendar for the most current listings of practice dates and times. Please contact recruitment@muscogeerollergirls.com to confirm practice times and receive more information regarding skating or volunteering with the league. 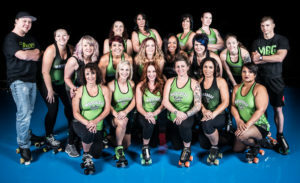 Wanna be involved in roller derby but don’t wanna be a Roller Girl? We need skating referees, non skating officials (NSOs), and volunteers! Please email officials@muscogeerollergirls.com for more information. We look forward to seeing you on – and off – the track!